Want to get a jump on your week and have some healthy meals or snacks at your disposal? I love to use Sunday afternoon to prep for a successful week. What if you had a yummy snack box in your fridge ready to grab and go? Check out these easy, no brainer ideas for a healthy week! This makes my life easier and keeps my waistline healthier. These options can be used for a quick meal or healthy snack option. I just stock up on some containers at the grocery that are stackable, dishwasher safe and reusable. 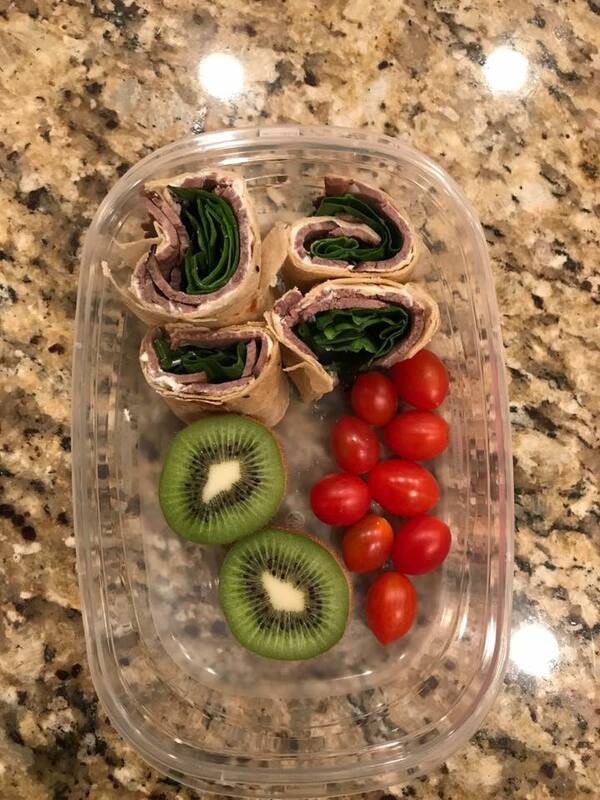 These snack boxes are loaded with protein, fiber, and tasty ingredients to keep you from getting hangry! So the next time you want to grab the chips, cookies or drive through fast food, grab your own healthy version snack box and feel fabulous! A few of my favorites are the Protein/Veggie box, That's a Wrap Box, Little Sweet Treat, and Tex-Mex box! I always keep hard boiled eggs on hand for a quick protein snack. Add a little deli turkey(nitrate free), and your favorite veggies like celery and carrot sticks and a TBSP. of peanut butter for dipping and you are set. That's a wrap box is fun and so easy to make. Use a healthy tortilla like the Ezekiel sprouted grain or if you need a gluten free option that is ok too. I used 4 oz. of lean roast beef, 1/4 cup of goat cheese, 1/2 cup spinach and rolled up in a 6 in tortilla. Slice it into pinwheels, add a few cherry tomatoes, kiwi, or small tangerine, delicious. The Tex Mex is fun. I made homemade tortilla chips by using 2 corn tortillas, cutting them in triangles, spray with a little cooking spray and sea salt bake at 375 for 15 min or until crisp. Add a 1/4 cup of guacamole, 1/4 cup pico de gallo, 3/4 cup of bell pepper strips, 1/2 cup cubed pineapple. If you want a little sweet treat then try this one! 1 cup raspberries (or blueberries), 4 plain Graham crackers (1 sheet), 1 Tbsp. cacao nibs mixed, (it's easy to use cacao nibs when your daughter owns a chocolate factory, (MarkhamandFitz.com) with 2 Tbsp. unsweetened coconut flakes. You can make up your own version, just stick to healthy ingredients and include a little protein, veggies, or fruit for a nice combination to energize your day and satisfy your hunger!